In watching the brief video artist statement by Kim Alsbrooks (pasted below), it rapidly becomes clear that she is about as down to earth and unpretentious as an artist can be. 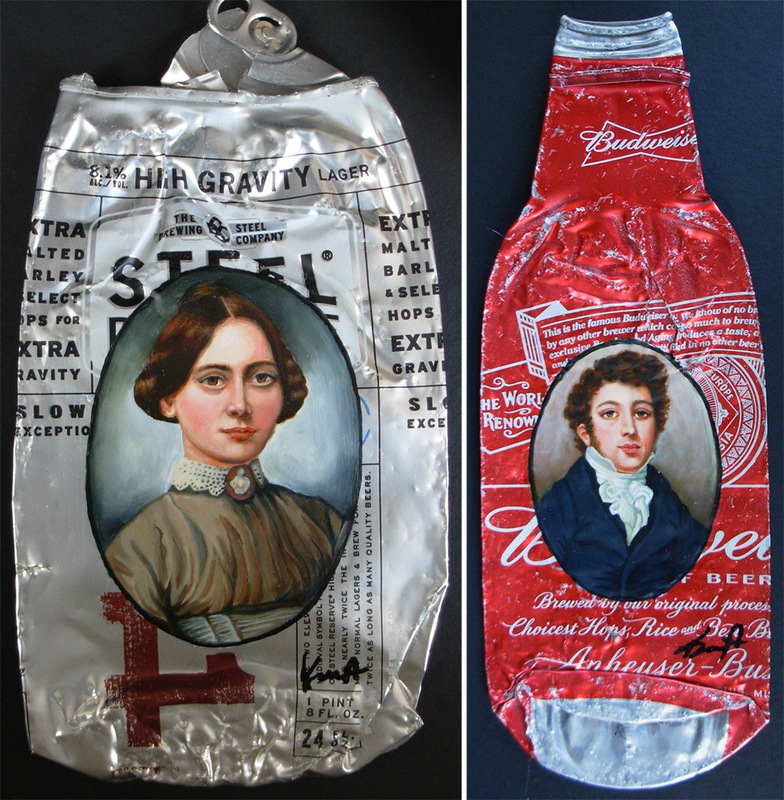 She is known for her portraits (of actual subjects garnered from antique photographs), painted on crushed cans. The trash is found flat, on the street. One cannot flatten the trash. It just doesn’t work. It must be found so that there are no wrinkles in the middle and the graphic should be well centered. 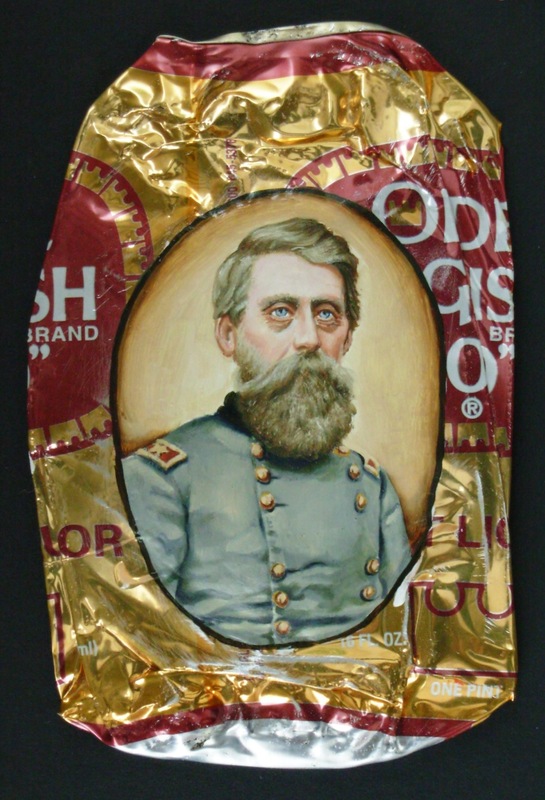 Then the portraits are found that are complimentary to the particular trash. 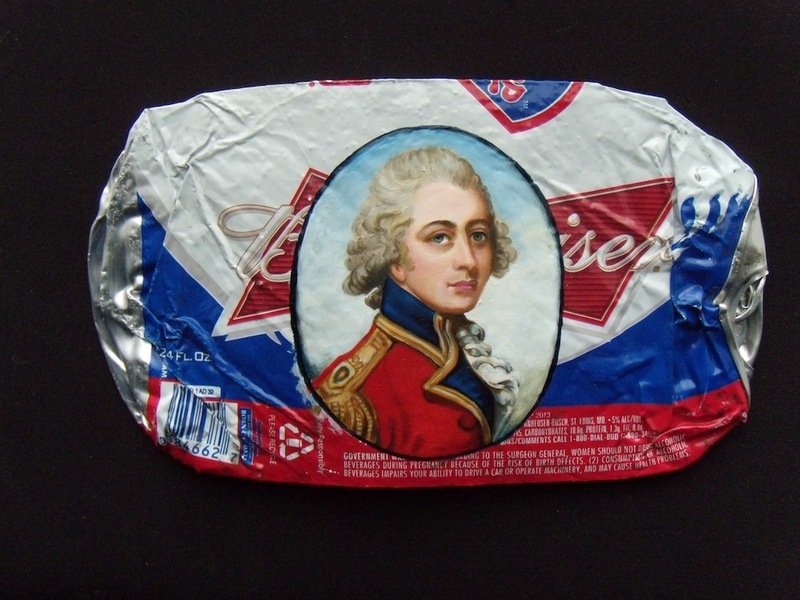 Generally I depict miniature portraits from the watercolor on ivory era (17th-18th century more or less). 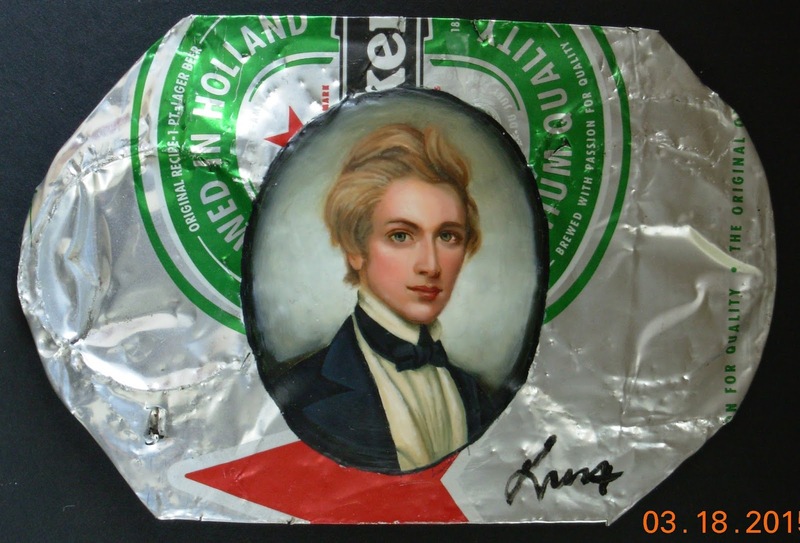 The trash is gessoed in the oval shape, image drawn in graphite, painted in oils and varnished. Such a beautiful collision of contradictory worlds! This entry was posted on May 22, 2015 at 4:31 pm and is filed under art with tags art. You can follow any responses to this entry through the RSS 2.0 feed. You can leave a response, or trackback from your own site.